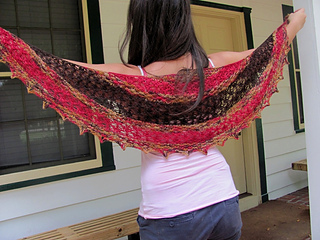 A wide crescent shaped shawlette that is worked up in coordinating colors of Miss Babs Yummy Toes sportweight. 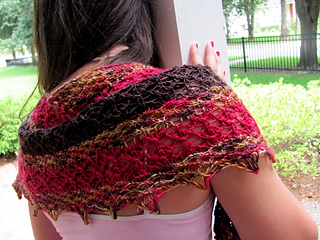 This would look lovely in a solid color or a self-striping yarn such as Noro sock. 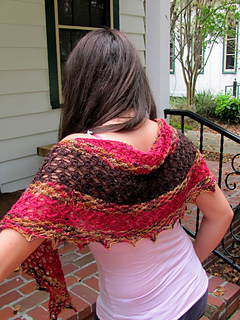 This shawlette must be blocked in order to achieve the crescent shape and to open up the lace. 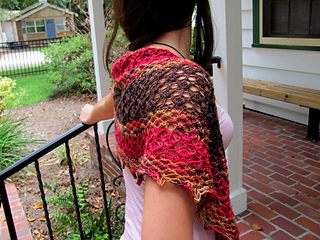 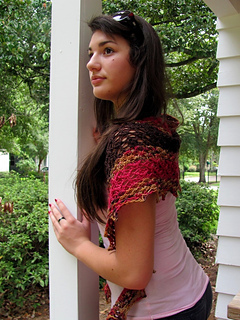 This shawlette is also perfect for all those odds and ends of sockweight or sport-weight yarns you have lying around. 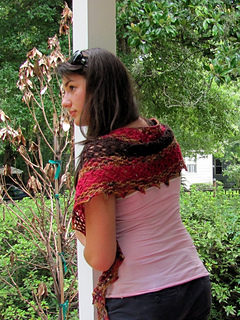 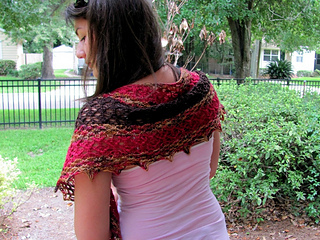 The sample shawl used the 82-yard mini skeins: 2 of Oregon Cellar, 1 of Ruby Spinel, and 1 of Bruin. 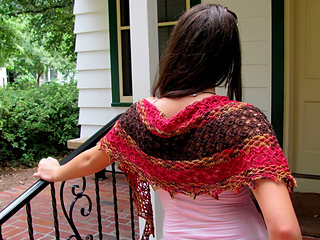 Due to the simplicity of the lace pattern, this pattern is available in written form only.